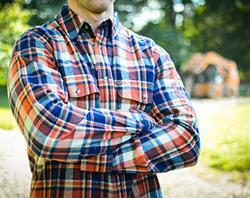 COLUMBIA, MO--(Marketwired - October 31, 2016) - MidwayUSA is pleased to announce the latest addition to their MidwayUSA clothing offering -- the MidwayUSA Flannel Long Sleeve Shirt. Made from 100% cotton, the MidwayUSA Flannel Long Sleeve Shirt features a brushed exterior and comes pre-washed and pre-shrunk. A smooth interior allows for easy layering on those cooler days and back pleats support a full range of movement. At work, out on the town, or out checking game cameras, the MidwayUSA Flannel Long Sleeve Shirt keeps outdoorsmen in classic style.